London based French duo The Penelopes are fast becoming one of the more prolific acts in ElectroPop. You’d have thought after the release of their Never Live Another Yesterday album last summer they would have taken a break, but no. With a constant schedule of touring, monthly mixtapes and a stream of top quality reMixes these guys have just kept the pressure up. 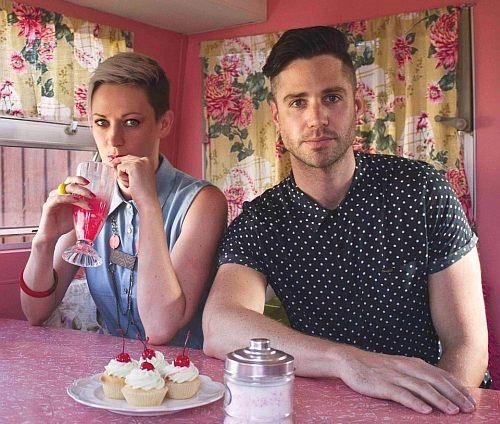 Check out their latest offering, it;s a reMix fro Australian DiscoPop duo Back Back Forward Punch, an act we’ve been hearing some good things from in the past few months, and their new single Don’t Stop Now. The Penelopes bring a bright and airy Disco groove to the track. Something that is both body moving and a heady castle-in-the-air of a track, utilising severely punchy bass and hazy synths to create a dancefloor dreamscape to loose yourself in. But the starlight synths and the half heard swirling sax belie what is a pretty hard hitting floorfiller. The Penelopes have delivered a multi-layered crate essential.